CUPERTINO, Calif.--(BUSINESS WIRE)-- Apple®�today announced a new initiative in support of leading nonprofit organizations in the US and Europe that offer nonpartisan, independent media literacy programs. The News Literacy Project (NLP) and Common Sense in the US and Osservatorio Permanente Giovani-Editori in Italy will each receive support from Apple to advance their efforts�in empowering�young people with the critical thinking skills necessary in today’s digital age. "News literacy is vital to sustaining a free press and thriving democracy, and we are proud to be collaborating with organizations on the front lines of this effort," said Tim Cook, Apple’s CEO. "We’ve been impressed by the important work�being done by�the News Literacy Project,�Common Sense and�Osservatorio, empowering young people to be active and engaged citizens." "Apple News is committed to presenting quality journalism from trusted sources," said Lauren Kern, editor-in-chief of Apple News®. 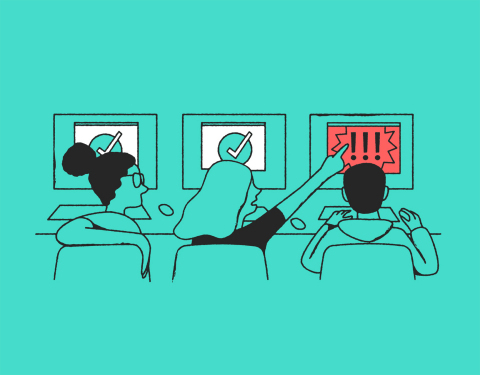 "We’re thrilled that Apple is supporting these important organizations�to train the next generation on how to seek out accurate and reliable information amid an increasingly complicated news landscape." "We are grateful for Apple’s commitment to fighting misinformation and sustaining quality journalism," said Alan C. Miller,�founder and CEO�of NLP. "NLP is committed to equipping the next generation with the critical thinking skills to discern what news and other information to trust and the tools to become informed and engaged participants in our country’s democracy. We welcome this timely initiative to help achieve our vision of seeing news literacy embedded in the American educational experience." "The lack of young people’s news literacy skills is a growing problem for our country. Revelations about the manipulation of news and the resulting impact on society have shed light on both the importance and scale of the issue," said James P. Steyer, founder and CEO of Common Sense. "We need to help our students not just seek out legitimate news, but also think critically about the broader world of media and ideas. Apple shares in our mission to raise a generation of children who will thrive as learners, leaders and citizens in the digital age, and Common Sense is delighted to be part of this important effort." "Our mission is to help young people develop critical thinking�skills�by comparing different sources of quality information," said Andrea Ceccherini, founder and CEO of Osservatorio Permanente Giovani-Editori. "At a time when fake news is spreading, we cannot give in to the idea that�third-party fact-checking services are the only way to assess the reliability of news sources. We can exercise our own minds, and be masters of our own destiny. Our ambition is to help form more citizens, increasingly opening our society to a culture of civilized debate and confrontation, which is the basis of every healthy democracy." The News Literacy Project (NLP), a nonpartisan national education nonprofit, empowers educators to teach middle school and high school students the skills they need to become smart, active consumers of news and other information and�engaged, informed participants in our democracy. Since NLP’s signature education platform, the Checkology�virtual classroom, was released in May 2016, more than 17,800 educators in all 50 states, the District of Columbia, three US territories and 104 other countries have registered to use it, and more than 124,000 students have benefited from its lessons. Students have told NLP that as a result of what they have learned in Checkology, they are more confident in their ability to discern and create credible information, have a greater appreciation of the role�of a free press in a democracy, and are more likely to become civically engaged by voting when eligible to do so or by becoming politically active. NLP’s vision is to see news literacy — a critical life skill — embedded in the American educational experience. Osservatorio Permanente Giovani-Editori is Italy’s leading independent organization in citizenship education focused on media literacy projects.�For over 18 years, Osservatorio’s mission has been to help today’s young people become citizens of tomorrow, participate more in our democracy and develop critical thinking that sets them free.�Osservatorio operates in education by training high school teachers, who then bring Osservatorio’s media literacy projects into their classrooms with the goal of increasing student curiosity, thirst for knowledge and critical thinking. As students compare different quality news sources, they learn to distinguish between reliable journalism and fake news. Apple revolutionized personal technology with the introduction of the Macintosh in 1984.�Today, Apple leads the world in innovation with iPhone, iPad, Mac, Apple Watch and Apple�TV. Apple’s four software platforms — iOS, macOS, watchOS and tvOS — provide seamless�experiences across all Apple devices and empower people with breakthrough services�including the App Store, Apple Music, Apple Pay and iCloud. Apple’s more than 100,000�employees are dedicated to making the best products on earth, and to leaving the world�better than we found it. © 2019 Apple�Inc. All rights reserved. Apple, the Apple logo and Apple News are trademarks of Apple Inc. Other company and�product names may be�trademarks of their respective owners.